A Charity Walk for #ICAwareness! IC Awareness…Together, we started something big! ICA staff, board members, and IC patients spoke at an FDA Advisory Meeting. For many people with IC, an effective treatment plan requires a team approach. Check out ICA's Diet Section! Focusing on what you CAN eat! A place for peace, hope, and advice. Know the Symptoms. Get the Facts! Struggling with bladder pain, urinary urgency/frequency? You may have IC. The Interstitial Cystitis Association (ICA) is the only nonprofit charitable organization dedicated solely to improving the quality of healthcare and lives of people living with interstitial cystitis (IC). IC is recurring pelvic pain, pressure, or discomfort in the bladder and pelvic region, often associated with urinary frequency (needing to go often) and urgency (feeling a strong need to go). 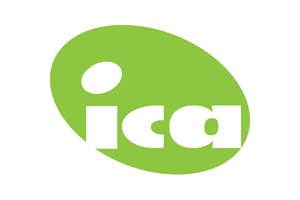 Sign up for the free Interstitial Cystitis Association (ICA) eNews to keep abreast of the latest stories, news and events. Your web site is very comprehensive, informational, and user friendly.